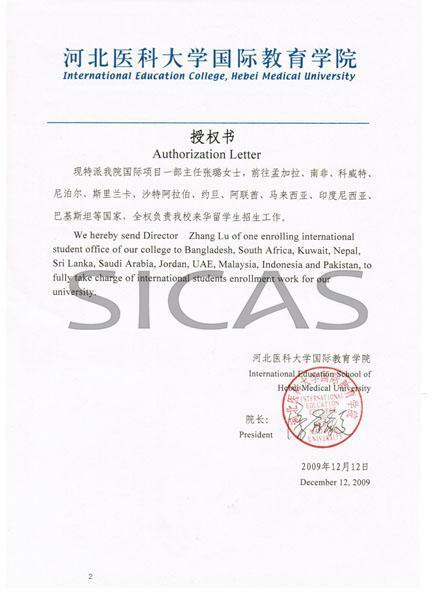 SICAS(Study In China Admission System) offers the information for international students to Study English taught MBBS and other courses in Hebei Medical University in a most accurate, effective and safe way. Located in Shijiazhuang, Hebei Province, Hebei Medical University is one of the oldest medical universities in China. 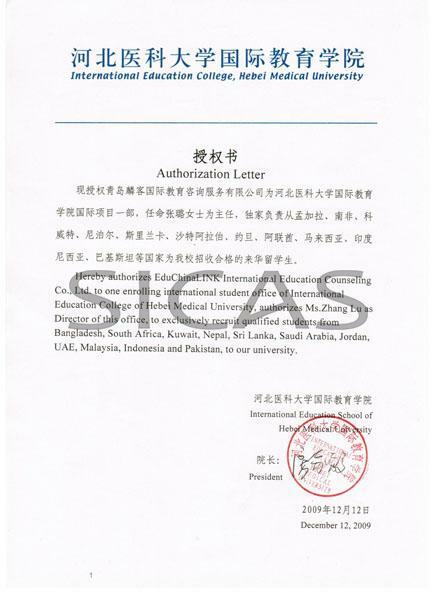 The available MBBS (Clinical Medicine) in English is enjoying great popularity among international students as well as Traditional Chinese Medicine, Acupuncture and Massage, Clinic Medicine, Clinic Medicine of Integration of Traditional Chinese Medicine and Western Medicine, Stomatology. Besides, HEBMU has 6 affiliated hospitals, providing students with good sites of clinical teaching, specialistic teaching and practice. Until recently, it has established closer cooperation with about ten medical colleges and research institutes of Japan, South Korea , America and France successively. HEBMU is devoting to perfect the tailored teaching of Medicine to you.